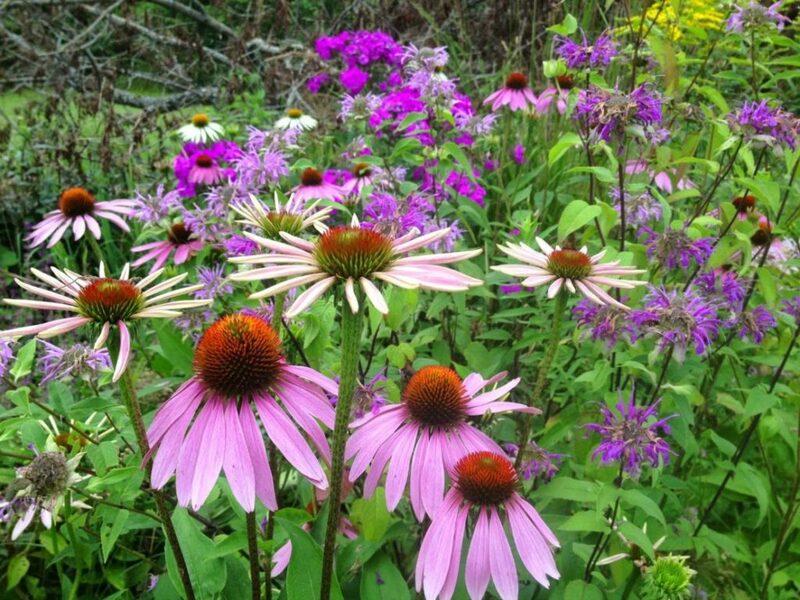 Native echinacea (Purple coneflower) and monarda (Bee Balm) attract all sorts of butterflies and other pollinators. This is one native plants for Ontario database I don’t want to forget, so I’m posting it here. Evergreen Canada is such a marvellous nature and environmental organization, and we are lucky that we have a headquarters here in Toronto, at the Evergreen Brickworks, one of our favourite places. On the database linked above you’ll find a simply massive compendium of pictures and information about good choices of native plants for Ontario. Trees, shrubs, perennials, wildflowers, the whole shebang. I love that they include recommended tree species for schools and daycares. They list nectar and host plants for butterfly gardening. Butterfly gardens need to have both, as caterpillars have to eat too! It takes a lot of eating to be able to turn into a butterfly. Another helpful aspect is the way the database divides nectar plants into seasons. The fall nectar plants, like solidago and New England Aster are listed, as well as spring varieties. 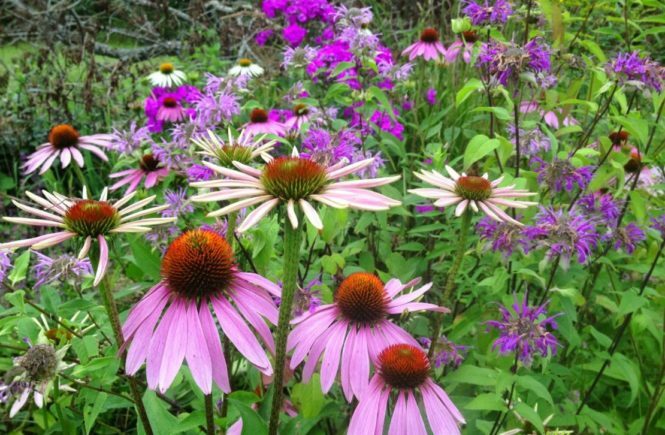 Want to learn about plants for rain gardens? You’ll find it in the database. You’ll see a sample of a rain garden onsite at the Evergreen Brickworks too. Rain gardens are a new way of dealing with storm water runoff. Find out about what rain gardens are and why they are useful. Interested in wildlife? Check out the native shrubs with fruit sources for birds. Looking for a water-efficient garden? Evergreen’s database has a list of trees and shrubs that aren’t water hogs. 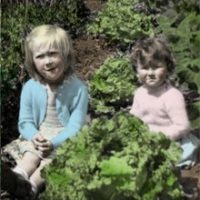 Anyway, check out the links, and savour all the many ways you can make your own garden become more beneficial to wildlife and a greener environment. Start your 2015 garden list here! And the fact that many native plants will naturally be a little less fussy to look after, and some will naturalize themselves, (like the monarda and echinacea above in my garden) is an added bonus.